R U in an Organic Mood? 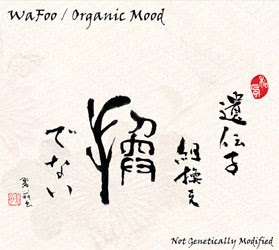 Our first CD, "Organic Mood" is now officially released and available at CD Baby!! Of course you can buy it directly from any of the band members, too. We are always happy to see you at the show! We had a rehearsal today and had a very special guest who is one of the founding member of WaFoo and the great soprano sax player, Tsuyoshi Niwa. He moved back to Japan several years ago and came to New York this week for the business trip. Tsuyoshi played a few tunes with us and the tone of his soprano was beautiful as ever. Tsuyoshi, we wish you the best of luck in Japan. Come to New York more often!